The application period for our current hiring process has ended. Please click here for more information. Possession of a valid and current driver’s license. Current NREMT certification or MN EMT certification, with the ability to obtain NREMT certification within one year of hire date. Current Minnesota or I.F.S.A.C. 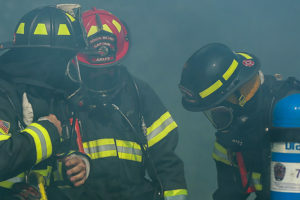 Accredited Firefighter II certification or DOD equivalent. Current licensed firefighter in the State of Minnesota or the ability to become a licensed firefighter in the State of Minnesota when hired. NFPA 472 Hazardous Materials First Responder Operations course completion or DOD equivalent. Two years experience as a structural firefighter on a paid on-call fire department, or one year experience as a career structural firefighter. These qualifications are subject to change at any time, based on the needs of the department.